State health officials are urging Texans to protect themselves from mosquito bites — but they aren't helping counties coordinate or pay for those protective measures. More rain is coming, and so are more mosquitoes. As parts of South and Southeast Texas enter peak season for Aedes aegypti, the species of mosquito apparently posing the greatest risk for transmitting the Zika virus, state health officials are ramping up a public awareness campaign urging people to protect themselves from insect bites. What the state is not doing, public health experts say, is paying for protective measures — such as mosquito eradication and handing out insect repellants — that could reduce the risk of Zika transmission. By and large, making prevention happen — and finding the money for it — is left to local governments, which experts say are often ill-equipped to handle the job. So far, state officials are declining to pay for certain Zika-preventive services through Medicaid, the federal-state insurance program for the poor and disabled. The federal government announced on Wednesday that states could use Medicaid funds to pay for mosquito repellants and family planning services to reduce pregnant women’s risk for contracting Zika, which has been linked to microcephaly, a birth defect that causes babies to have abnormally small heads and improper brain development. While Texas health officials are stressing the importance of prevention in legislative hearings, public service announcements and on a central website, on Thursday a government spokesman said Texas has not yet decided whether it will allow Medicaid to pay for the additional preventive services, such as mosquito repellant. Bryan Black, a spokesman for the Texas Health and Human Services Commission, said the agency was still “reviewing” the federal government's proposal. “For several months, the agencies that make up the Texas Health and Human Services System have been collaborating to pursue every avenue to protect our citizens from this potential health crisis,” Black said in a prepared statement. Texas has a decentralized system of public health programs that largely makes counties responsible for disease prevention services, such as mosquito control and monitoring. 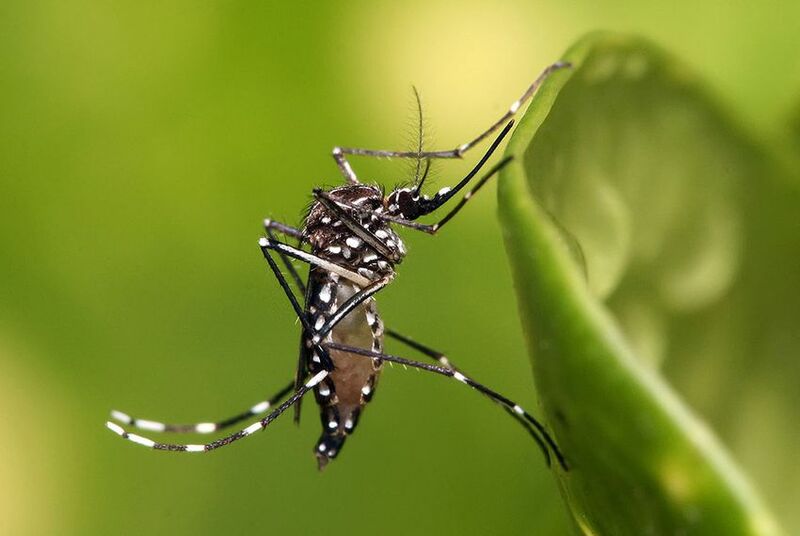 Experts say that arrangement means there is little uniformity in the state’s preparedness for preventing infectious diseases — and will almost certainly leave Texans in the poorest parts of the state more vulnerable to Zika. The Aedes aegypti mosquito is prevalent in some of the state’s most impoverished regions, such as the Rio Grande Valley in South Texas. “Where you are going to see the problems is in the high poverty areas,” said Catherine Troisi, an infectious disease epidemiologist at the University of Texas Health Science Center at Houston School of Public Health. Local health departments in Zika-vulnerable areas say they are struggling to provide preventive services because they don't have the money — and in some cases the jurisdiction — to address problems. Lack of funding has hamstrung Hidalgo County's ability to eradicate mosquitos, Eduardo Olivarez, chief administrative officer of Hidalgo County Health and Human Services, recently told the Senate Health and Human Services Committee. He said poor housing conditions left many of his county’s residents vulnerable to mosquito bites, and stray tires proved fertile breeding grounds for the mosquitoes that carry the virus. “I have hundreds of thousands of tires in my county, and there’s no place to take them,” Olivarez said. In one example, Olivarez said a local tire dumping ground had been abandoned after federal officials deemed it environmentally unsuitable, yet tires there remain full of mosquito larvae today. “It’s halfway filled and sitting there, collecting water and bringing mosquitoes,” he said. In Houston, health care providers say they fear a lack of preventive services, and city leaders have said they are $7 million short for mosquito control and debris cleanup after widespread flooding in recent weeks. At the Senate hearing, lawmakers appeared supportive of efforts to wipe out Aedes aegypti and other species. But Peter Hotez, dean of the National School of Tropical Medicine at Baylor College of Medicine, said in a recent interview it would take significant government involvement to wipe out the pests. John Hellerstedt, commissioner of the Texas Department of State Health Services, told lawmakers this month that while the state had taken a lead on a public awareness campaign to prevent Zika transmission, most of the on-the-ground preventive work would take place at the county level — and would “vary from community to community” — because Texas is a home-rule state. In addition to the public service announcements, Hellerstedt noted Gov. Greg Abbott had assembled a task force on infectious disease preparedness in February.